Start with two joyous people in love. Mix in five flower girls, wild all-ages dancing, and the best dessert buffet ever, and you’ll end up with Gretchen and Kristian’s wedding at Brigalias in Sicklerville, New Jersey! 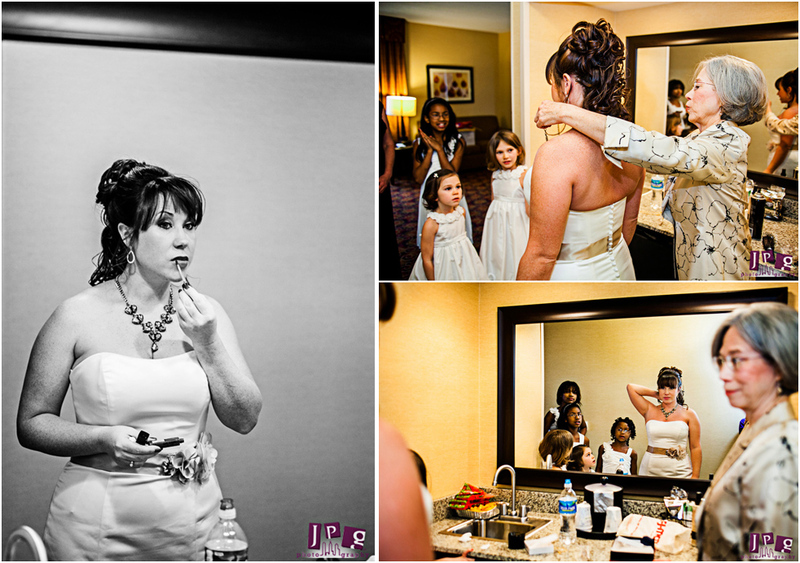 While Gretchen prepared in her room at the Hampton Inn, Kristian got ready at a friend’s house where the group sat around the table sharing memories from their years together. It was a great time for everyone to unwind before a busy day and a long night (and we got to hear some awesome stories!). 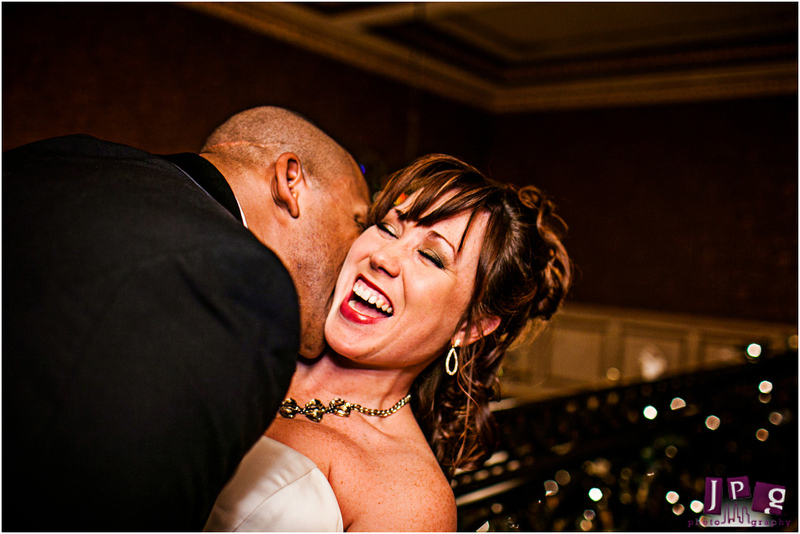 We love a touching “first look” moment: this couple had theirs the grand staircase at their venue. Gretchen couldn’t hold back her tears of joy, and Kristian’s ear-to-ear grin was absolutely contagious, so we had some sweet photos right before the ceremony. Also contagious were the smiles of Gretchen and Kristian’s five flower girls! The couple could never have chosen just one flower girl from the five young ladies so special to both of them, so they just picked them all! The girls processed down the aisle in height order, as happy as ever to be part of the celebration. Later in the night, we learned that this pair really knows how to throw a party! 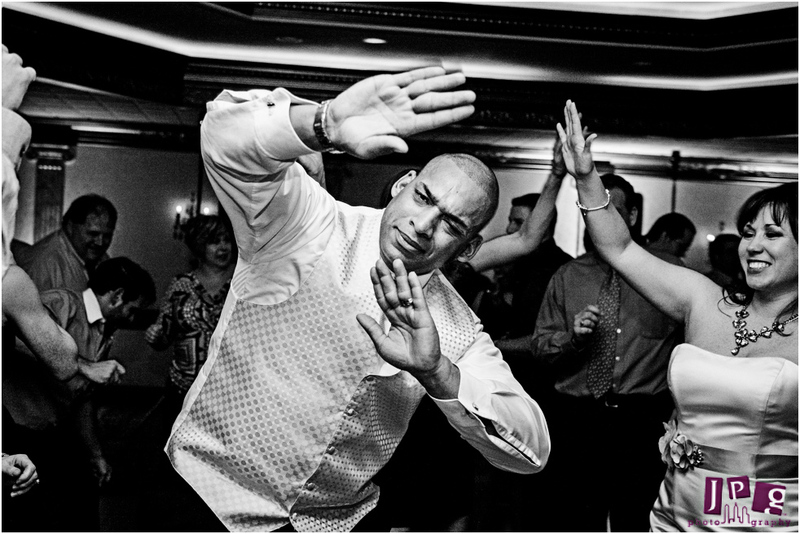 Between the awesome DJ and the dessert buffet-induced sugar high, every guest found themselves out on the dance floor. 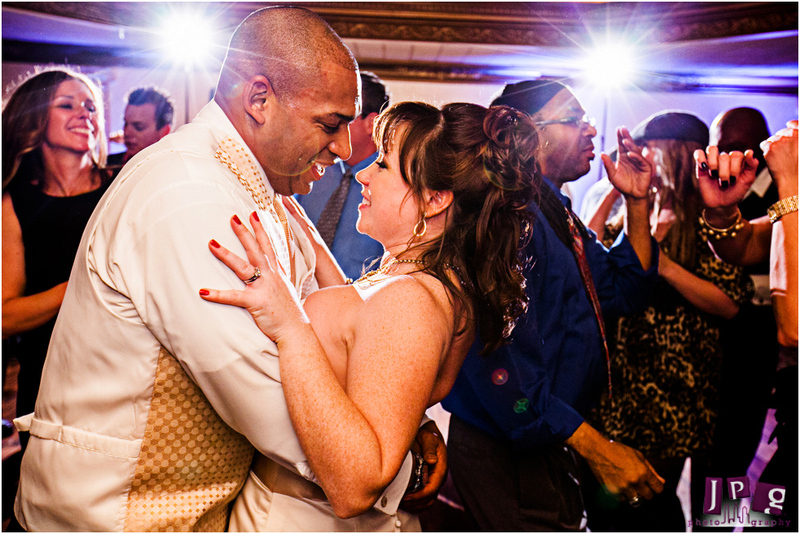 Kristian and his mom shared a sweet mother-son dance, and because she uses a wheelchair, the happy moment was an extra-special one for us to capture. 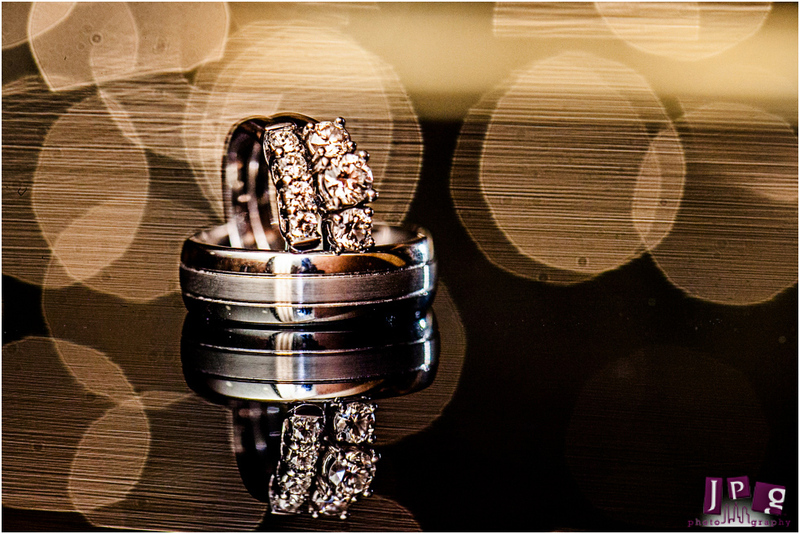 Gretchen and Kristian, thanks for inviting JPG to document your special day. And always remember, a smile is worth a thousand words.